Thanksgiving Photo Frame app is collection of fantastic picture frames for your iPhone. Are you ready for Thanksgiving Day? Now, with our photo frames you can say that you are ready. Celebrate with your family, enjoy in the food and take pictures to remember how great was that day. Now you can decorate pictures of this wonderful day with best photo frame effects. 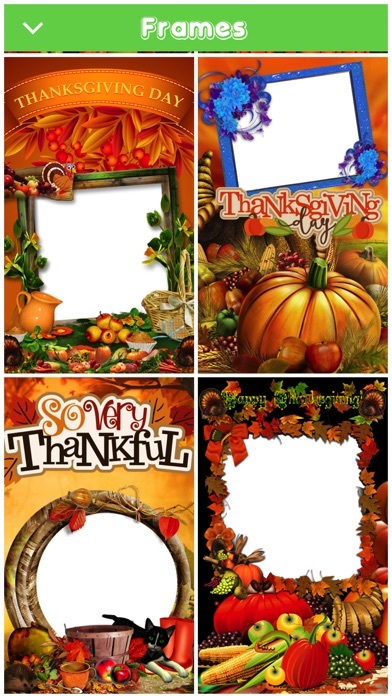 Wish Happy Thanksgiving Day to your friends and send them your photo decorated with great picture frames and they will know how much they are important to you. 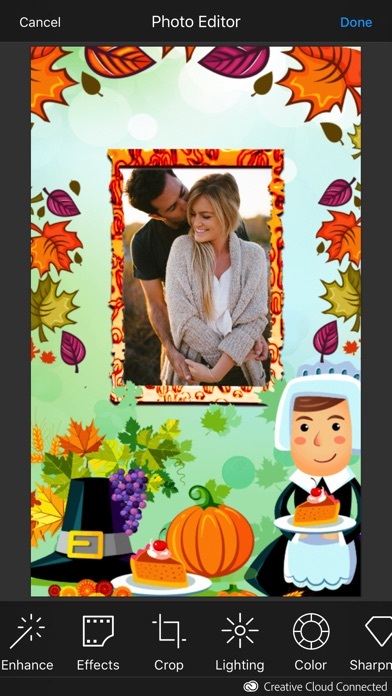 Now it will be easy to express your feeling by using THANKSGIVING PHOTO FRAME.